Super Vacations in Colorado Springs! 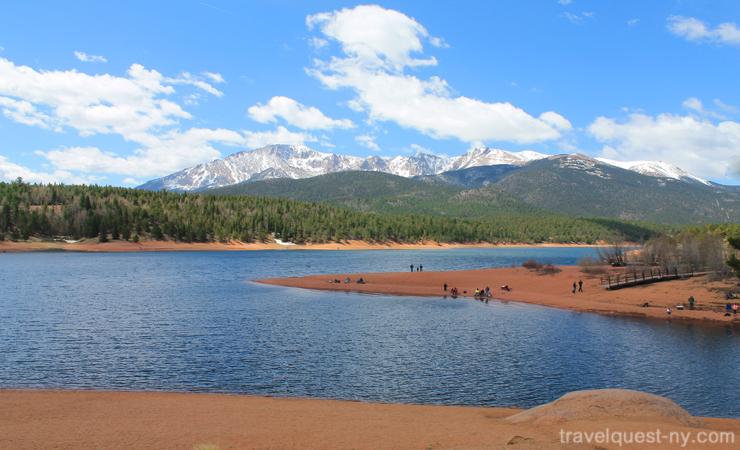 Just south of Denver, Colorado Springs is a beautiful destination for a family vacation. Whether you fly directly into Colorado Springs or make it a stop on a cross country tour, it will definitely be worth your time. Often the greatest gems across our vast country are not the major cities, but the smaller towns just on the outside of major metropolitan areas. From the train ride to Pikes Peak to the infamous philharmonic orchestra, activities abound for every age group and interest in Colorado Springs. Check out the many restaurants with local flavors and abundant outdoor seating or enjoy a tour of the US Olympic training center. If you’re fortunate enough to stay in Colorado Springs for an extended period of time, check out the huge offering of gyms on that inevitable rainy day. On one of the many gorgeous days in Colorado City, be sure to take advantage of the spectacular hiking trails. The Garden of Gods is a municipal park at the foot of Pike’s Peak that is truly spectacular. Cross the Royal suspension bridge above the Arkansas River – the tallest suspension bridge in the United States. This is truly for thrill seekers. Also not to be missed is the Cheyanne Mountain Zoo. This zoo is the only mountain zoo in the country and is home to over 900 native species. Because it’s quite an adventure trekking through the mountains to view the animals in their natural habitat, be sure to wear very comfortable shoes! Experience the Broadmoor Springs zip line tours over Seven Falls. Prepare to climb over 200 steps to arrive at the top for a breath taking view. These falls don’t disappoint. They are a favorite destination for professional and budding photographers because the natural beauty is so awe inspiring. After a trip to Seven Falls, you might well be ready to enjoy one of the many craft breweries Colorado Springs has to offer. You can go all the way and actually take a tour of the many breweries. Famous for their craft beers, many of the local breweries also offer an exceptional variety of dining options. Get local in Colorado Springs this year!